A broker once told me that a breakdown on newer equipment is nobody’s fault, but when a carrier has older equipment and it breaks down, that’s everyone’s fault. Post your truck to the industry’s largest digital freight market exchange. Subscribe to DAT Power or DAT TruckersEdge and find new customers. Post your available equipment, or search the more than 993,000 loads posted every business day. I just purchased a new truck to replace my old one, and this was my deciding factor. 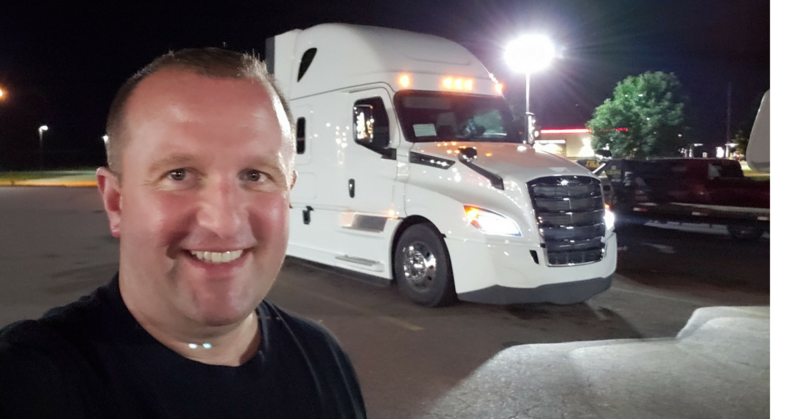 I found a really good freight brokerage that I loved working with and they paid me well. I was their emergency 911 truck service. When they needed a truck, I always said yes, and it did not matter when the call came in. Here comes the part that embarrassed me and shamed my name: I caused that broker’s loads to be late on two separate occasions, because of small repairs that had to be taken care of. Then again with the same broker, my starter broke while I was sitting in their customer’s dock, and I could not move the truck. Then came the final straw when the clutch quit working and the truck was out of service for 12 days while a mechanic completely rebuilt the transmission. Not only was my old truck costing me money to maintain, but it was preventing me from making money. Worst of all, I disappointed my customer and he had to hire other carriers to take my place. Maybe you’re that person who wants to keep your truck as long as possible. I know this person very well because it was me, for many years. I loved my truck so much. I was once asked what I would do with my old truck, and I said I hoped that I could sell it to someone who will love it as much as I did. I was sentimental about that truck because it gave me my start, but now it was causing me to fail in my business. I can’t afford that. There is no problem with wanting to keep the same truck forever, but you also must put a plan together for replacing it before it’s too late. You don’t know what might happen next. Your truck could suffer catastrophic failure or be totaled in an accident. So whatever your next truck might be, you should prepare now to purchase that truck in the future. It’s a lot better to be in a position to choose the truck you want than to settle for one that doesn’t meet your needs, just because you need a truck.